Do you want to walk in power, carrying weight and influence both in Heaven and on earth? If so, then you’ll want to grow spiritual roots. Spiritual roots are an often-overlooked part of our walk with Christ. If we have deep spiritual roots, then both God and people will be able to trust us. We can go far and make a major impact on the Kingdom if we have roots deep enough to sustain us. However, if we don’t grow spiritual roots–or don’t grow very deep ones–then we will not be able to carry weight in the Kingdom. We may be able to walk in power, but we won’t be able to sustain the responsibility and influence that go with that power. Without roots, we will simply topple and fall when the first big storm arises–even if we look really pretty on the outside. Growing deep spiritual roots is simply a crucial part of our growth. 1. Hide God’s Word in your heart. I put this first because it and #2 are the easiest–and they will save you a lot of trouble if you do them! Hiding God’s Word in your heart is important because God wants to build character in us, and knowledge of His Word will help us grow. He wants to give us those spiritual roots even more than we want them. His goal is to transform us into the image of Christ! His Word even says that we do not have to sin at all. Did you know that? It is absolutely possible, in Christ, to live a sinless life. But we will never get there without hiding God’s Word in our heart. In reality, we will never grow at all–and never put down any kind of spiritual roots–without God’s Word in our heart. So how do you hide God’s Word in your heart? You read it. Every day. More than that, you read slowly. You digest it. You memorize it–first phrases, then sentences, then verses. asking for His conviction, forgiveness, and power to change when He shows us sin in our lives. If you will hide God’s Word in your heart, you will begin to put down spiritual roots. Even if you start at slowly, it will work! So begin today. Start where you are, with tiny portions at a time if that’s what you can do. Just start, and you will grow! 2. Pray. Pray a lot. Oh, beloved. Other than God’s Word and, of course, His Spirit, prayer is the most powerful force we have available to us on the earth. Prayer is two-way communication. It is communion with God. It is the sweet savoring of intimate conversation with our Heavenly Father, the Lover of our souls. People of much character are people of much prayer. If you want to grow and put down spiritual roots, prayer is absolutely essential. Beloved, you can save yourself from a lot of agony and trouble if you invest your time in a whole lot of prayer. I can’t even tell you how many times I went to the Lord, intending to do a particular thing later–and God showed me as I prayed not to do it … thus saving me a ton of trouble. Likewise, there are just as many times–maybe more–when I wasn’t planning to do anything about a situation; but I began praying, and God showed me exactly what to do and told me to do it now. God instructs us as we pray. And if we will listen and obey, we can grow spiritual roots simply through the discipline of tuning our ear to His voice and deciding to follow Him. Prayer is one of the greatest privileges that we have. The halls of history are filled with mighty men and women of God who became mighty through prayer. Stories abound about how some of the godliest, most fruitful people to ever walk the planet invested their time, first and foremost, in prayer. 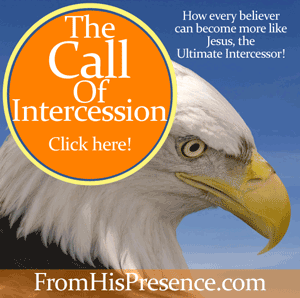 For inspiration, check out my 3-part MP3 teaching series about how to become an intercessor! Click the image to visit my Gumroad store. Beloved, if we will pray much, we will learn much. We will grow. We will develop more godly character every moment that we linger in the throne room. Oh precious friend. If you want to grow spiritual roots, become a person of prayer. 3. Love and pray for your enemies. Beloved, praying for your enemies can be a challenge … and that’s exactly why it helps us grow spiritual roots. But I say to you, love your enemies, bless those who curse you, do good to those who hate you, and pray for those who spitefully use you and persecute you, that you may be sons of your Father in heaven; for He makes His sun rise on the evil and on the good, and sends rain on the just and on the unjust. For if you love those who love you, what reward have you? Do not even the tax collectors do the same? And if you greet your brethren only, what do you do more than others? Do not even the tax collectors do so? In the passage above, Jesus clearly told us that the process of loving our enemies, blessing those who curse us, et cetera actually makes us like God. He even went so far as to say that doing these things will make us perfect. That’s a really big deal, friends. How does loving our enemies work such a change in our character? How does it help us grow spiritual roots? Loving your enemies is something that you can only do with Holy Spirit’s help. It requires us to see people the way God sees them. It requires us to deny our flesh and walk in the Spirit. It requires us to obey Jesus’ command. It requires us to come into alignment with the heart of God for a person. That’s a whole lot of available character growth, right there. Beloved, when you love and pray for your enemies, you make your spiritual roots grow. The very act of loving those who hate you forces your flesh, your heart, and your soul to conform to the mold of Christ. 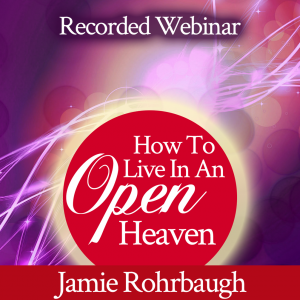 Learn how to live in an open heaven with my recorded webinar! This class teaches you how to experience the manifestation of all the blessings Jesus died to give you. If you want to grow spiritual roots that will sustain a huge level of blessing, influence, calling, etc long-term, you’ve got to die to yourself. More accurately, you’ve got to remember that you’re dead to yourself and alive only in Christ Jesus … and you have to stay that way. If you have made Jesus the Boss of your life, then you ARE already dead to yourself. It is no longer you who lives, but Christ who lives in you. You now live only by faith in Him. But sometimes your flesh likes to stage a little resurrection. Sometimes your mind forgets that you’re dead to yourself, and it wants to do what it wants. When you lie to cover up your sins; etc. When your flesh stages a resurrection, you have to remind it that you’re dead to yourself. It can’t rise up if it’s not alive! Also, if your flesh wants to make its own choices, you have to force your mind and your flesh to act only on the fact that you’re dead to yourself (and alive in Christ). So, even though you’re already dead to yourself, as Paul said in 1 Corinthians 15:31, “I die daily.” You have to keep on dying to yourself daily, denying your flesh the right to do anything on its own. But dying to yourself is actually how you get promoted. Most assuredly, I say to you, unless a grain of wheat falls into the ground and dies, it remains alone; but if it dies, it produces much grain. He who loves his life will lose it, and he who hates his life in this world will keep it for eternal life. If anyone serves Me, let him follow Me; and where I am, there My servant will be also. If anyone serves Me, him My Father will honor” (John 12:24-26). Dying to yourself makes you like that grain of wheat that falls to the ground and dies. When you die to yourself, you will eventually harvest new life, increased fruitfulness, closer friendship with Jesus, and honor from the Father. 5. Receive correction from God and others. Whoa! Ouch! Couldn’t we just skip this one? It hurts. I know it hurts. Been there, done that. It hurts when it comes from God because we have to abandon sin and bad habits so we can be closer to Him. … and potentially have our flesh embarrassed (you know, that part of ourselves that wants everybody to think well of us all the time). Hey, we’re only human. It’s natural to want to be right. But it’s SUPERnatural to humble ourselves, receive correction, make things right, and grow from it. And only God can help us do it. Again, the process of godly discipline and correction offers us the opportunity to choose life. We have to choose to obey God’s Word and submit to it, rather than trying to be right no matter what. But if we will accept correction–whether it’s from Holy Spirit directly or whether it’s godly correction from those whom He has placed in authority over us–then we will grow. Our spiritual roots will become deeper as our character matures, and the visible part of our lives will become more fruitful. 21 Kisses is my 4-part MP3 word of hope and restoration for the victimized, rejected, and neglected. It’s based on the life of King David in the Bible. Click the image to check it out on my Gumroad store! “Hey, sign me up!” – said nobody ever. I know; this is a tough one. A very tough one. And I’ve been there–for looooooong periods of time, too. Anytime you stand for righteousness, you will make enemies. I learned that my identity is not determined by what anyone else thinks of me. I learned that I could trust God no matter what. I learned that God LOVES to elevate you above your enemies. I learned not to put my trust in men, for even the people you thought were closest to you can betray you. I learned what it felt like to complete the sufferings of Jesus. I learned how Jesus felt when “they all forsook Him, and fled” (Mark 14:50). I learned that Judas was a crucial part of Jesus’ destiny. I learned to stand still and keep my eyes on God despite the worst, most depressing times I had ever faced. I learned the power of forgiveness more than I ever knew it before. I learned in a new way how to pray for those who hated me and bless those who persecuted me. I learned how to rejoice in the midst of persecution, for great is my reward in Heaven. Persecution is one of the biggest things that God has used to grow me. I hate it. It’s not fun. It’s not God’s best plan. He NEVER inspires sin; and when people persecute others, it’s never His idea. But He works it out for your good. And He always blesses you MORE for being persecuted than He could have if you hadn’t been. Persecution will teach you to stand through things you never felt you could endure. You may stand with a broken heart. You may feel like you’re bleeding out in the parking lot. You may get spiritually murdered. He’ll fill you with the blood of Jesus and make you ten times stronger. And He’ll resurrect you stronger than you ever were before. I don’t want you to have to do this, but the fact remains that it’s a big part of growing spiritual roots. When I talk about going through hell, I’m not talking about persecution (#6 above) … although that can be its own special sort of hell. The divorce papers you never expected, etc. When horrible things like this happen to us, we have to understand that they are not necessarily from God. Sometimes they are. I’ve lost a job before and the separation was from God. I’ve lost friends before and the separation was from God. But sickness is never from God. Divorce, adultery, betrayal, and sin are never from God. It’s important that we remember that. Nevertheless, God will always work ALL THINGS for your good. All things work together for good. When that financial crisis comes, He’ll turn it around for your good. When that divorce comes, He’ll either heal your marriage or He’ll bring you a better spouse if you’ll believe Him for it. When that sickness comes, He’ll heal you. He always works all things out for your good. And while He’s doing so, you will grow some fabulous spiritual roots if YOU are willing to do so. If you’re going to grow spiritual roots while you go through hell, you have to decide to stand in faith. You have to decide that you’re going to keep your eyes on Jesus, and not feel sorry for yourself all the time. Because if you start looking at yourself, get into introspection and “poor me,” and keep your eyes on your circumstances, you’ll get to go around and around that same ol’ mountain. You’ll get to wander in the wilderness like the Israelites did. Maybe even for years at a time! You’ll simply wander until you decide to keep your eyes on Jesus and get on board with His plan. The wilderness is a time of training. It was designed as an opportunity for you to grow spiritual roots. Take the short route, okay? Beloved, spiritual roots are necessary if you want a big destiny. The biggest, strongest trees have to have deep root systems if they’re going to last. … all because you didn’t have the character needed to sustain it. Instead, grow the deepest spiritual roots you can. Let the roots come first. Let God have His way. Let Him build and mold your character, conforming you to the image of Jesus. If you will, then whatever He finally builds publicly for you will last. Your destiny can endure. You will be a fit vessel, able to carry your blessing. Is Holy Spirit speaking to you about growing spiritual roots? Does this message resonate in your heart? If so, please leave a comment below. I love to hear from you! This blog, and all of the Kingdom work we do in this community together, are made possible through your partnerships, donations, and product purchases. If you’d like to help, please check out the partnership details and products available for sale here. And, thank you in advance for helping make this blog and everything we do together for the Kingdom possible! Don’t miss a thing! Sign up for my free, online equipping program–Presence Seekers University–and get my FREE Supernatural Lifestyle Toolkit ($28 value) as my gift to you! The Toolkit itself is huge. And in addition to that, you’ll get an email when new content is posted, as well as exclusive prophetic words, teaching material, and more for free when you confirm! Absolutely! ! What a powerful true right now word for me! Thank you!! Deep roots, that’s truly what it takes. Once again Father as brought a perfect word through your blog. Jamie I can not through errors convey to you how very blessed I am that He led me to your blog. Through you He is performing miracles in my life, He is walking me deeper in my faith, and feeding my soul in a way it has yearned for, for many years. My spirit is filling daily. I pray abundant blessing over your life Sister. This has made my day. Holy Spirit help me to grow spiritually in the mighty name of Jesus Christ. 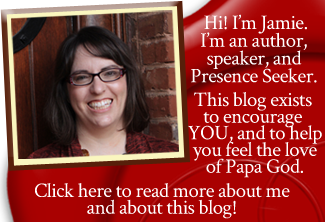 Amen what an incredible uplifting blog! Thank you and bless you! I thank God for his word. Since I’ve found this site on Pinterest, everything has been on point. God knows what we need when we don’t. May God continue to use and bless you to bring forth his word. Jamie, this is such a timely Word for me from the Lord. Thank you for allowing God to continually speak through you to bless the masses. I’ve experienced this as an ongoing process in my life, not easy but well worth the cost. Thanks for your openness and honesty. I sense God at work in your life. Be blessed. AMEN & AMEN!! Every single word you wrote is the TRUTH, Jamie. Even as painful and difficult as it can be to have these spiritual roots grown & deepened, it IS worth it once they become established…and Father God is ALWAYS faithful to see you through the process. Bless you for your diligence and transparency in mentoring the body of Christ! Hi thank you for this I really needed this its been tough for a few years I know I am on a upward climb. Keep up the good work it is an inspiration. Amen I am truly blessed by your blog, thank you. May God continue to Bless your ministry, God is amazing ? Thank you! Always struggled in knowing how to build my spiritual roots but now I have a visual I can go back to when I need help when I’m struggling. Your ministry is a blessing to me! l have been asking for big things and He has used me in some pretty amazing ways, BUT I need to get over rejection for my roots aren’t deep enough to go to the next level. Hallelujah! I immediately submitted and declared that I no longer wanted to stay in the desert. I’m ready for the Promised Land. Lots of work to come. May God richly bless you as you continue to hear, obey and convey the truths from His Holy Spirit.